Water extraction under extreme conditions can cause a number of difficulties. 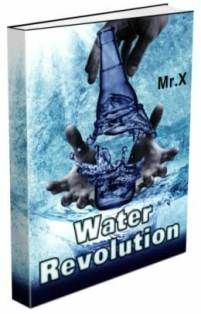 For this not to happen and for you to be able to provide yourself and your families with clean drinking water in any situation, I strongly recommend the book Water Revolution. Having downloaded it, you´ll also get access to the video, which show what to do, so that you could produce drinking water on your own when it is needed. Incidentally, there is a convenient way to get water in the forest or desert. Dig a hole in the ground, with a radius of about half a meter, and the same depth. On the bottom of the pit put a tank for collecting clean water. Next, cover the hole with any plastic film, torn package, synthetic fabric, something that doesn’t leak. Press down the film with stones around the edges of the pit, and in the center, above the tank, put a stone on it. There should be formed a cone directed into the container to collect water. As soon as the air has enough humidity, water will condense on the film and drip into the container. This option is most effective in the areas where days are very hot, and at night the temperature goes down sharply, e.g. deserts, plains and so on. Plastic film is cooled almost instantaneously, in comparison with the air, what leads to a good humidity condensation on its walls. Also, the solar still can be used for extraction of water from dirty or poisonous water. For example, urine or seawater. Sea water will provide you with salt also, besides water. One has only to gather it in separatecontainers and place in the bottom of the pit, around the tank to collect clean water. Then the water evaporating from the containers will similarly condense on the walls of the film, and drip into the reservoir for collecting water. One such pit can bring about half a liter of clean water a day, it all depends on humidity and other weather conditions. Be sure to securely attach the whole construction, as at night there can get insects in it, snakes and other small animals (which can be used as a food in case of starvation), and they can overturn the tank. Therefore, if one has additional materials, it is sometimes recommended to place another reservoir below the first one, and to pump water to it, using syphoning. To provide yourself with clean water for the whole day, you should make several solar stills.